Yay it’s the weekend- the days where I spare myself the most time to really work on and develop new recipes. 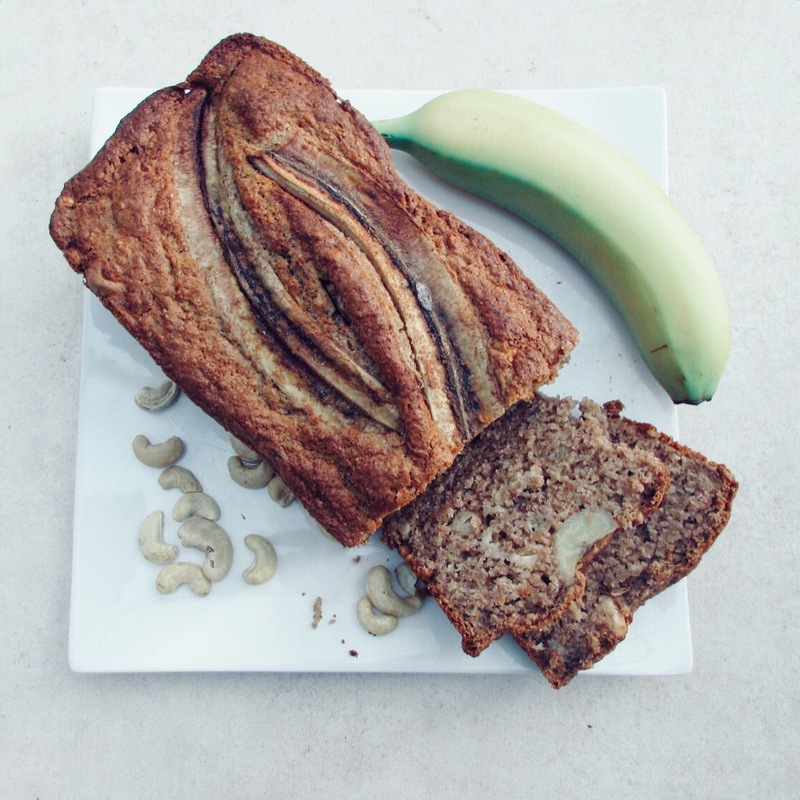 I have found myself craving banana bread all week so decided to work on a new recipe that I hadn’t tried before. 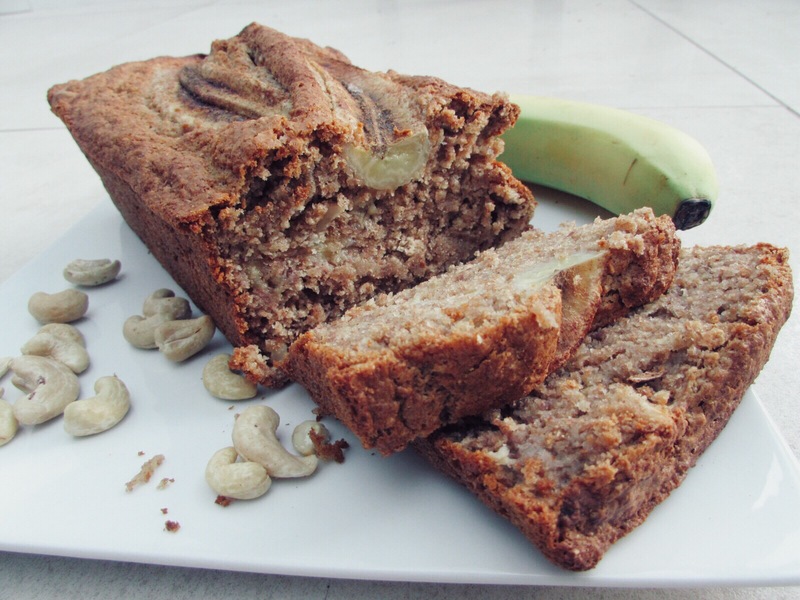 I have taken my banana and blueberry loaf recipe and made a few changes to give you this DELICIOUS banana and cashew nut loaf. 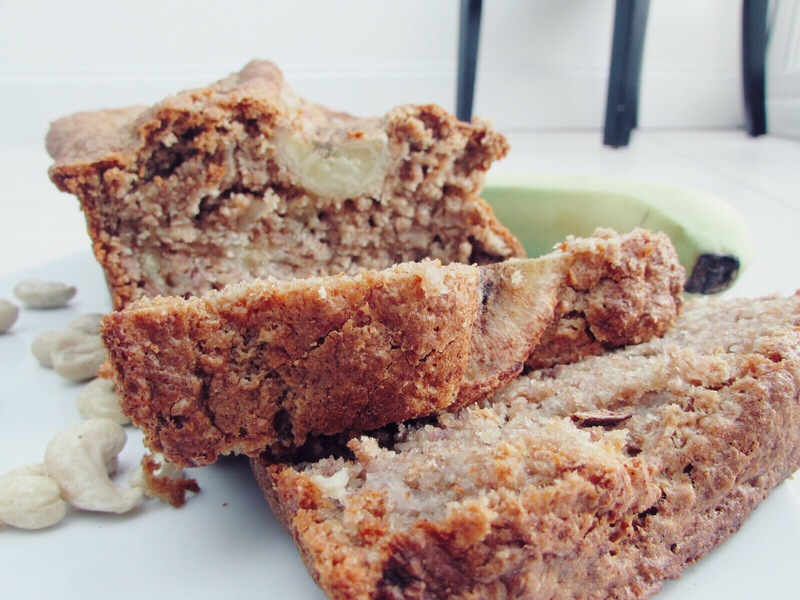 Being that I’m such fan of banana bread I am sure there are new recipes that I will work on in the future but, for now, I hope you enjoy this nutritious loaf as much as I did! Preheat the oven to 180 degrees celsius and grease a 1lb loaf tin with coconut oil. In a bowl, mash 2 bananas and combine with the dark brown sugar and coconut oil (this can be done with a fork or in a blender, I used a fork). 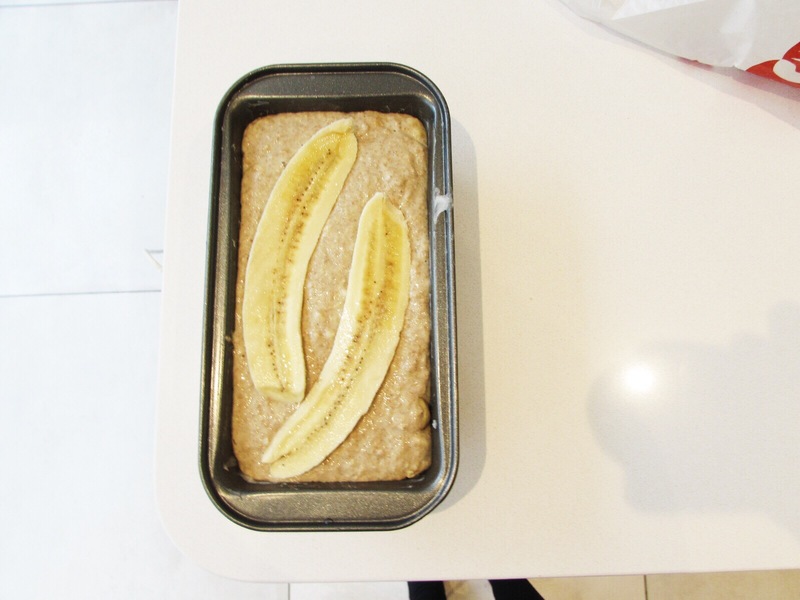 In a sperate bowl, mix the flour, baking powder and coconut milk and soya milk. Then add the banana mix and whisk until combined. Gently mix in the cinnamon, then add the cashew nuts. Pour the mixture into the prepared tin. Then cut the whole banana in half down the middle of the banana, so you can split it on top of the cake (see picture above). Bake in the oven for 1 hour (until knife comes out clean). Leave to cool for 10 minutes before removing the loaf from the tin.